Make an easy DIY Easter Egg Wood Sign, with a few pieces of scrap wood and some laser cut wooden eggs or bunnies. I kept it neutral with wood tones, but you could totally paint them if you desire. 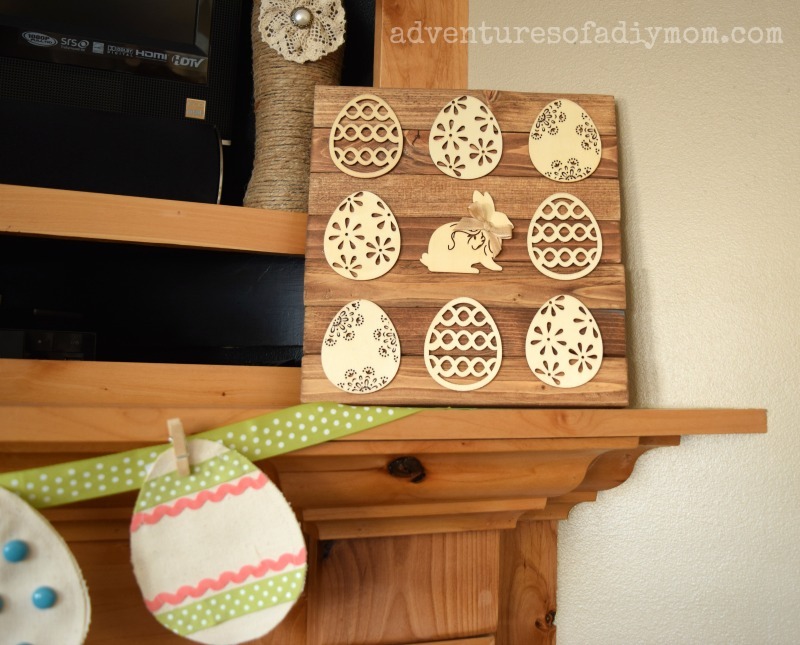 I found these fun wood Easter eggs on clearance. I love the different patterns. It didn't take me long to figure out what I wanted to do with them. I wanted something to finish off my Easter mantle. 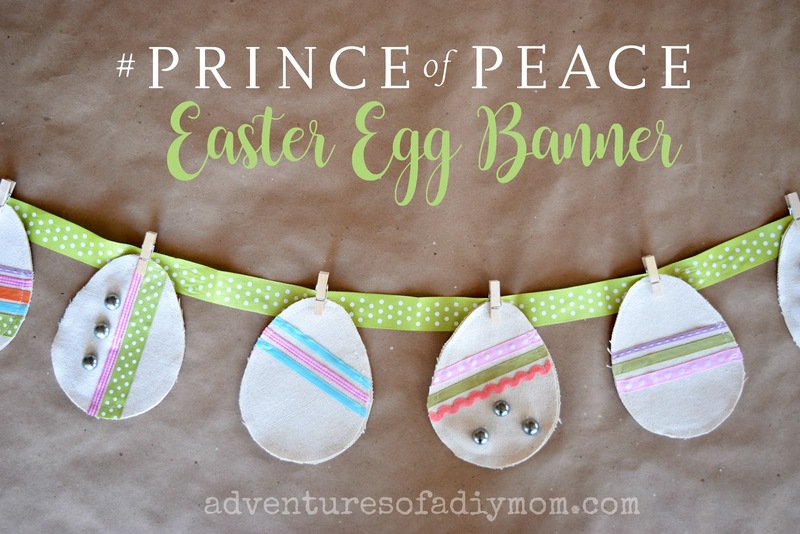 The mantle is pretty simple - a few string eggs, my #PrinceOfPeace Easter Egg Banner, and a picture of Jesus with the children. Now the wood sign finishes off the other side of the mantle. 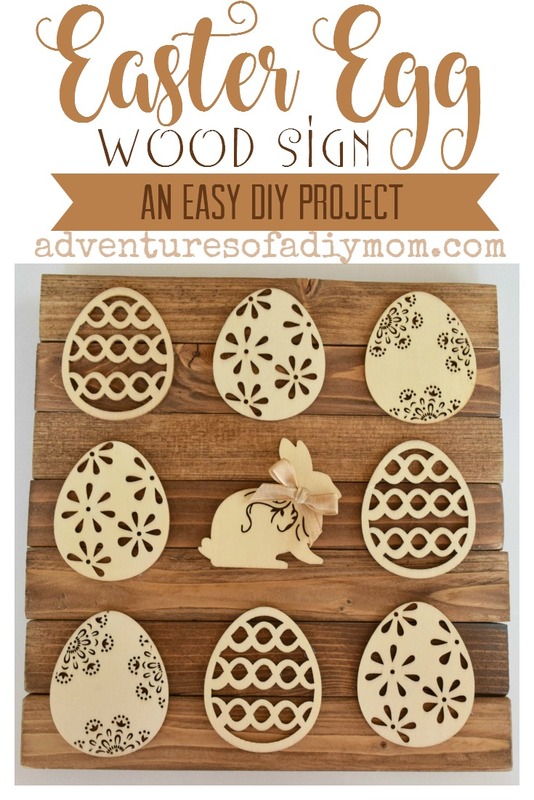 Want to Make your own Easter Egg Wood Sign? 1- Begin by cutting your 1 X 2's into pieces 10 inches long. I used up a lot of scraps and cut out a total of 7 pieces. You could 1 X 3's or 1 X 4's - you just won't need as many of them. 2 - Sand the wood. My daughter wanted to help. She didn't like the feel of the vibration of the sander and gave up quickly. 3 - Stain the wood. I used Special Walnut by Minwax. Let dry completely. 4 - To attach the wood together, I simply lined them all up, placed a couple pieces of paint sticks on the back and nailed them in place with short brad nails. I wish I would have added a bit of wood glue first, but I didn't think of it until after the fact. If you don't have a nail gun you could use some wood glue and place something heavy on top until it dries completely. 5 - Hot glue the wooden eggs/bunnies on. 6 - The last think I did was to add a little bow to the bunny. That's it! Pretty easy. Are you ready for Easter? 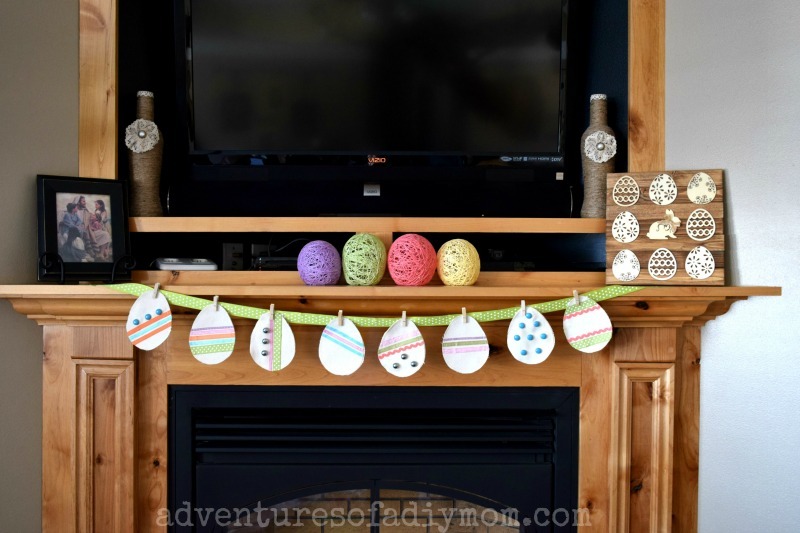 Those wooden eggs were a find, they are beautiful. Thanks for linking up with Creatively Crafty Easter Party.